Carefully curated to appeal to those who personally identify with Filipino culture and the merely curious or uninitiated, Kultura is a contemporary Filipino-American food and arts festival aims to highlight the best in Filipino-American food and arts in Chicago and the Midwest. 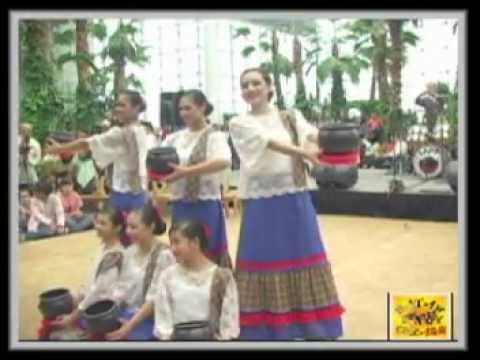 Kultura Festival coincides with the start of Filipino American Heritage Month, a nationally commemorated holiday every October since 2009, with the passage of US House Resolution 780 and Senate Resolution 298. Kultura is taking place at Logan Square's Emporium Arcade Bar and Surf Bar, 2363 N Milwaukee, on Sunday, October 2, from 11 AM to 6 PM. Started in 2015 by food media and events group Filipino Kitchen, Kultura Festival will showcase over twenty Fil-Am chefs, visual artists, DJs and performers. Key additions to the program include Philippine indigenous art group Katao Living Traditions from the San Francisco Bay Area, and from Toronto, acclaimed Filipino-Canadian contemporary dance company Hataw and modern Filipino tribal music crew Datu will make their US-debut performance. Kultura festival tickets can be purchased online at https://ti.to/filipino-kitchen/kultura-2016. The festival features a roster of local culinary mainstays and out-of-town heavy hitters: Chef Kristine Subido of Pecking Order Catering; Top Chef season 10 alumna Chef Chrissy Camba of Maddy’s Dumpling House; night market favorite Hapa Chicago; Melissa Yen of JoSnow Syrups; Chef Bjorn DelaCruz of Manila Social Club (NYC); Dorothy Hernandez, co-owner and creative director of Sarap Detroit (Detroit); Chef AC Boral of RICE & SHINE and Naks Tacos (Long Beach, CA); and Chef Sharwin Tee of Curiosity Got The Chef on Lifestyle TV (Manila, Philippines). Chef Bjorn DelaCruz and the Manila Social Club will be presenting an array of Filipino flavored and fresh donuts, including the highly praised Golden Cristal Ube donut at the Kultura Festival, along with a donut bar of ube, gin-calamansi and buko pandan donuts. The Manila Social Club Golden Cristal Donut is made with ube, a naturally purple sweet yam found in the Philippines and Cristal champagne, a unique and decadent donut. The Golden Donut is filled with an ube mousse and a Cristal gelée, covered in a Cristal icing, dusted with 24K gold dust and hand-gilded with 24K gold leaf. Each donut is handmade by Manila Social Club's Executive Chef, Co-Owner and creator of the Golden Cristal Donut, Björn De La Cruz. 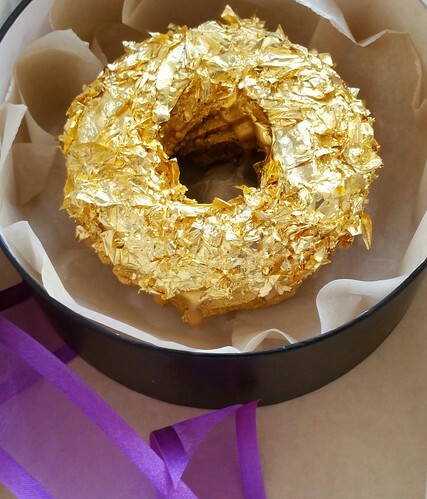 An individually hand-made Golden Cristal Ube Donut is $100. 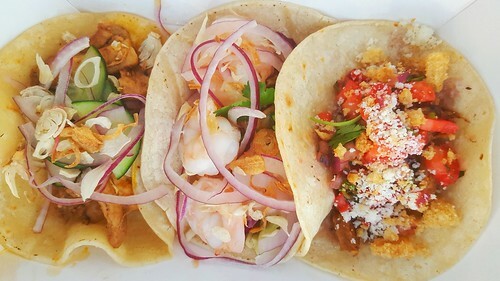 But wait... there's more than food at Kultura! DANCE - Started in 2015 by food media and events group Filipino Kitchen, Kultura Festival will be even more memorable this year with key additions to the program: workshops on batok (tattoos), baybayin (ancient writing system), Filipino history and martial arts by Philippine indigenous art group Katao Living Traditions from the San Francisco Bay Area; the 9th annual Adobofest home cooking contest with Filipino American Network (FAN) Chicago; from Toronto, acclaimed Filipino-Canadian contemporary dance company Hataw and modern Filipino tribal music crew Datu will make their US debut performance. 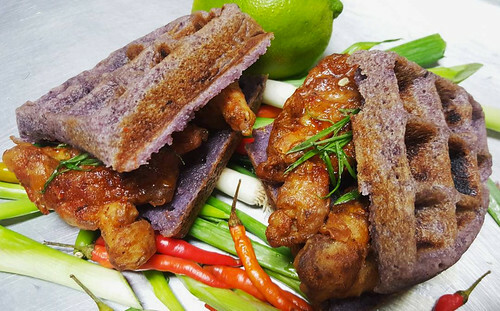 COMMUNITY - In a groundbreaking partnership with Filipino American Network (FAN) Chicago, Filipino Kitchen will host the 9th annual FAN Adobofest at Kultura Festival. Adobofest has been held for years at St. Paul and LaBagh Woods on the city’s northwest side. Five home cooks will compete in an adobo Taste-Off. Their work will be judged by a panel of chefs and restaurant professionals to find “Chicago’s Best Home-Cooked Adobo.” Potential contestants can sign up for the adobo home cooking contest at the FAN website. Additionally, the annual balut eating contest will also be held to promote voter registration. 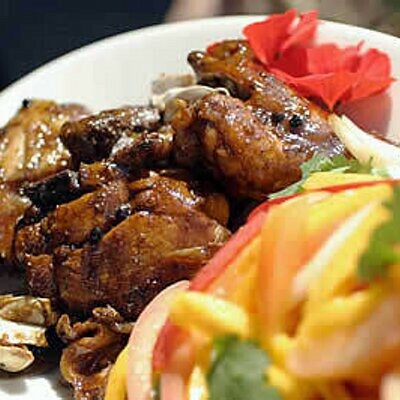 Balut, a Philippine street food, is partially developed duck or chicken duck embyro. Tickets to Kultura can be purchased online at https://ti.to/filipino-kitchen/kultura-2016. Student and senior pricing available. Children under 5 years of age are free. Carefully curated to appeal to those who personally identify with Filipino culture and the curious or uninitiated, Kultura Festival aims to reintroduce Filipino cuisine to Chicago and the Midwest. More information can be found at http://filipino.kitchen/kultura-festival/.